ARIES (March 21 to April 19): Professional relationships grow stronger. But you might still need to ease some problems with someone in your personal life. One way could be to try to be less rigid in your views. TAURUS (April 20 to May 20): You might be too close to that perplexing personal situation to even attempt to make a rational decision about it right now. Stepping back could help you gain a wider perspective. GEMINI (May 21 to June 20): Being asked to choose between the positions of two friends is an unfair imposition on you. It’s best to reject the “demands” and insist they try harder to work things out on their own. CANCER (June 21 to July 22): A change of mind about a workplace decision might be called for once you hear more arguments, pro and con. A personal event suddenly takes an unexpected (but pleasant!) turn. LEO (July 23 to Aug. 22): Romance once again looms large for single Leos and Leonas, with Cupid favoring Taurus and Libra to inspire those warm and fuzzy Leonine feelings. Expect another workplace change. VIRGO (Aug. 23 to Sept. 22): A surprise gift — and, happily, with no strings attached — could come just when you need it to avoid a delay in getting your project done. Expect education to dominate the week. LIBRA (Sept. 23 to Oct. 22): Someone close to you might ask for your support as she or he faces a demanding personal challenge. Offer it, by all means. But be careful you don’t neglect your own needs at this time. SCORPIO (Oct. 23 to Nov. 21): An unexpected development could put your relationship with a partner or spouse to an emotionally demanding test. But your determination to get to the truth should save the day. SAGITTARIUS (Nov. 22 to Dec. 21): A recent agreement appears to be coming apart over the surfacing of unexpected complications. You might need to have expert advice on how to resolve the situation. 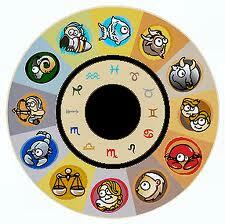 CAPRICORN (Dec. 22 to Jan. 19): Your keen business sense helps you get to the truth about a suspicious business deal. Expect to have many colleagues rally to support your efforts in this important matter. AQUARIUS (Jan. 20 to Feb. 18): Someone who once moved in and out of your life through the years might now want to come back in on a more permanent basis. Give yourself a lot of time to weigh your decision. PISCES (Feb. 19 to March 20): Showing frustration over a delayed workplace decision might get someone’s attention, but not necessarily make him or her move any sooner. Best advice would be to be patient and wait it out. BORN THIS WEEK: You are drawn to excitement and enjoy fast-tempo music, with the more brass, the better.